Company Law of the People’s Republic of China establishes the shareholders’ meeting of a limited liability company to be comprised of its shareholders and is the highest authority in the company. The Shareholders’ meeting is an indispensable component in which members exercise their investor’s right to collectively govern the company, in accordance with Company Law. Any other function specified in the articles of association. Under the Implementing Regulations of the Law on Sino-Foreign Equity Joint Ventures, Foreign Equity Joint Ventures shall be established as a limited liability company. However, no shareholders’ meeting is to be formed instead the board of directors is the highest authority of a joint venture and decides upon all major issues concerning the joint venture. The first shareholders’ meeting is convened by the largest capital shareholder; this shareholder presides over the first meeting and exercises its powers in accordance with Company Law. Shareholders’ meetings thereby after the first assembly are convened by the established board of directors and presided by the chairman of the board of directors. Where a limited liability company has no board of directors, shareholders’ meetings shall be convened and presided over by the acting director. Shareholders are notified 15-days in advance of a meeting unless otherwise specified in the articles of association or agreed by all shareholders. The methods of deliberation and voting procedures at shareholders’ meetings are also governed by the company’s articles of association. Any revision to the company’s articles of association in the shareholders’ meeting is adopted when there is a vote of two-thirds or more. Shareholder voting rights are based on each shareholders’ respective capital contributions unless the articles of association specify otherwise. The attendance of any director, supervisor or senior executive may be required for a meeting but the member is a non-voting representative and answers the inquiries of the shareholders. For any of the matters where the shareholders unanimously consent in writing to a resolution, the shareholders’ meeting may not be required to convene. Though, decisions may be made without holding a shareholders’ meeting is subject to bear the signatures or seals of all shareholders. The board of directors is an institution elected by the shareholders to manage corporate’s daily operations. Members of the board are to collectively handle corporate affairs; no director shall act individually rather the resolutions will be the majority vote of the board. The board of directors is a permanent institution acting on behalf of the shareholders’ meeting and can be subject to dismissal, where the board of directors fails to work in a faithful and diligent manner. 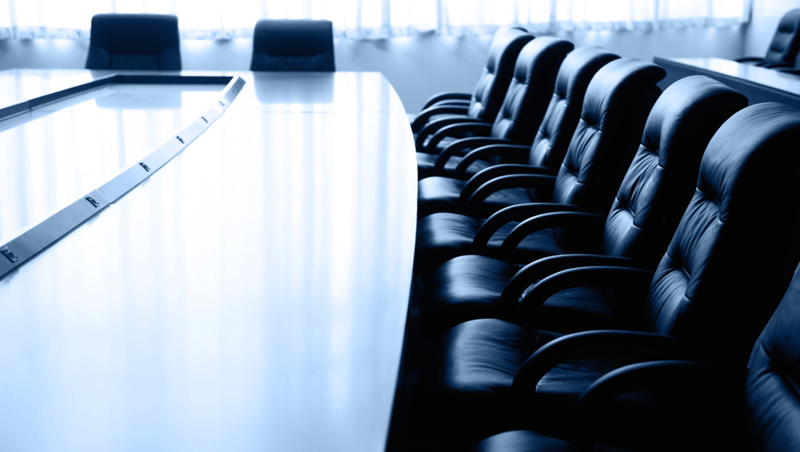 A relatively smaller limited liability company with fewer shareholders may establish an executive director with same functions and power of the board of directors. According to Company Law, the board of directors of a limited liability company can establish between 3 -13 members. Where a limited liability company is established by 2 or more state-owned enterprises or other state-owned investors, the board of directors shall include employee representatives, elected by the employees of the company. Though other limited liability company may also include employee representatives. The articles of association specify the method for the appointment of a chairman and deputy chairman to preside over board of directors. Furthermore, the articles of association shall stipulate the director’s term of office, though it may not, in any case, exceed 3 years. Any director or supervisor may, after the expiry of his term of office, hold consecutive post upon re-election. The board of directors mainly exercises its powers and functions through meetings, convened and presided by the chairman of the board of directors or the deputy chairman, if the chairman fails to perform his duties. In the meetings, directors shall make resolutions on issues submitted to be deliberated. Resolutions are made on the majority vote of the board of directors and are calculated on the system of “one vote per director”. Thus, every director shall cast one vote on every issue submitted to the board of directors. The board of supervisors is an internal corporate supervision system set to protect the owners’ interest. It is a legally required standing agency to supervise and check the company’s business activities. A limited liability company may establish a board of supervisors of no less than 3 members and relatively small limited liability companies with a small number of shareholders may appoint 1 to 2 supervisors; no board of supervisors is required. Supervisors are comprised of members elected by the shareholders’ meeting and employees democratically elected by the company’s staff. The ratio of shareholders’ representatives to employee representatives shall not be less than one-third; the specific ratio is stipulated in the articles of association. No director or senior manager of the company may concurrently work as a supervisor. The term of office for a supervisor shall be 3 years and may be held as a consecutive post upon re-election. On September 2006, the promulgation of the Interpretations on Key Provisions of the Opinions (Interpretation) on the Implementation of Several Issues Concerning Law Application in the Administration of Foreign-invested Company Examination, specifics a limited liability company or joint stock limited company to establish board of supervisors or 1-2 supervisors (dependant on the company size). Under the Interpretation, all foreign companies are mandatorily required to establish a supervisor system from 2006. Based on the principle of non-retroactivity of law, foreign companies incorporated prior to 1 January 2006 may decide by themselves to implement a supervision system: any amendments are made in the articles of association and shall be submitted to the authorities for approval. The company’s directors, managers and other senior managers shall all be regulated by the supervision system. In such cases, directors and senior executives are to faithfully provide relevant information and materials to the board of supervisors or to the supervisor. They may not obstruct the board of supervisors or any supervisor in the exercise of its or his powers. Review the company’s financial affairs through checking the company’s account books and other accounting materials, financial report, business report, profit distribution program and other accounting materials submitted by the board of directors to shareholders’ meeting. Supervisors may perform a recheck in the event of that questions pertaining to the company’s financial affairs arise. Supervise the company’s operation and management activities are performed in line with the resolutions of the shareholders. Propose definite topics and specific issues to the shareholders’ meeting for the discussion and voting. Propose to convene temporary shareholders’ meeting, as well as convening and presiding over shareholders’ general meeting under special circumstances. Initiate litigation on behalf of the company where the board of directors or managers of the company neglect to protect the company interests. Under the premise of not violating compulsory provisions of laws and administrative regulations, the company’s shareholders’ meeting may grant more authorities to the board of supervisors through the articles of association based on the company’s specific conditions. A board of supervisors shall hold regular meetings no less than once a year and may hold interim meetings. A resolution of the board of supervisors shall be approved 50% or more votes of the supervisors and the articles of association shall stipulate the methods of deliberation as well as the voting procedures. The board of directors governs the senior executives to manage the company’s day-to-day operations. Senior executives of a company include the general manager, deputy general manager, chief financial officer, secretary of the board of directors (if the company is listed) and other persons designated by the company’s articles of association. All the senior executives are accountable to the board of directors and shall exercise responsibilities within the scope of the board of directors’ authorization. Under the Company Law, the board of directors is responsible for appointing and dismissing the senior executives by an affirmative majority vote. It is advised the selection of senior executives is crucially determined by individuals’ qualification and competence. Once a candidate is appointed, the board of director enters into contracts with the individuals. If the Board of Directors deems a manager is no longer qualified for their position, the meeting may be convened to decide on manager’s dismissal, in accordance with law. Furthermore, if the board of supervisors of the company discovers the conduct of any manager violates any applicable law, administrative regulation, the Articles of Association or any resolution of the Shareholder’s (General) Meeting, the board of supervisors can propose to dismiss such manager. Despite the terms and conditions restricting a company’s right to dismiss a manager, the company still has the right to dismiss a manager. Although it may be held liable for breach of contract should dismissal happen before the expiration term of office. Any other power conferred on the manager by the board of directors. Many large companies, especially listed companies have established executive meetings as democratic and collective decision-making institution. An execute meeting is the highest form of decision-making in which the senior executives of a company deliberates on day-to-day operation and management matters. Meetings are classified routinely on a weekly or monthly basis, or special ad hoc meetings. Generally, the range of issues considered by the executive meeting includes: strategic and policy issues concerning the overall operation and management of the company; issues concerning major by-laws of the company; personnel issues and punishments and awards to employees; the establishment and adjustment of internal governance bodies of the company; issues concerning plans on major investments, major acquisition, restructuring and disposal of assets; and other issues for which the General Manager deems necessary. Ad hoc meetings are convened where key issues in operation and management of the company are reviewed and decided. As a rule, the managers’ executive meeting is convened and presided by the General over Manager. Any other senior executive of the company may convene and preside but are subject to approval or delegation of the General Manager. Executive managers undertake the operating rights of the company; their acts directly shall, in theory, determine the interests of the company and the shareholders. Though, the interests of the senior executive may under certain circumstances conflict with the interests of the shareholders. The Company Law of the People’s Republic of China provides obligations, also known as fiduciary duties, to senior executives and the board of directors for the protection of shareholders’ interests. Duties of a fiduciary are categorized under the duty of loyalty and the duty of diligence. The duty of loyalty are acts made according to corporate interests and is a conscience-based obligation, characterised by moral consciousness. The duty of diligence also called the duty of care; it is a requirement for the directors and senior executes to act with goodwill, caution and reasonable care, to seek optimal interests for the company. A director or senior executive shall manage affairs according to this certain standard and any violations are subject to corresponding legal liabilities. Article 147 of the Company Law prohibits director, supervisor or senior manager to take any bribe or other illegal gains by taking advantage of his position or misappropriate company assets for personal use. Any violation any law, administrative regulation, or the articles of association while performing his duties, shall be compensated to the company for any loss caused. Any election or appointment of any director, supervisor, or senior manager made in violation of the provisions of the Company Law shall be invalid and removed from his post. If you would like more information on corporate governance in China or other related issues, send us an email at talktous@horizons-advisory.com, and we’ll have a Horizons professional contact you.